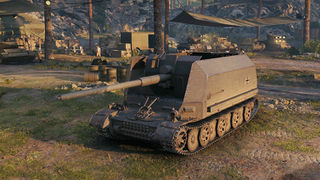 The Panzer Selbstfahrlafette IVc, the "Toaster," or "Flak Bus," (with Flak meaning anti-aircraft in German) is a unique tank destroyer, as it receives two 88 mm guns, giving it formidable firepower for a tier 5 tank destroyer. 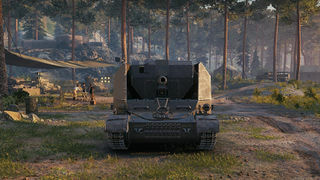 It is also exceptionally mobile, with a top speed and traverse speed rivaling that of the StuG III G. However, it has absolutely no armor and is a massive target, which means that it performs its best supporting allies from a sniping position, far away from the action of the battle. Moving in too close will get this machine destroyed in very short order. It's a good sniper, but you must be aware of taking any damage. It's armor can be penetrated even with tier I guns. The best strategy is to stay undetected all the time possible, unless the situation no longer allows. 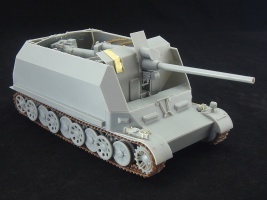 The history of the Flakpanzer fur schwere FlaK began in 1941 when the Waffenamt ordered yet another heavy Panzerjager vehicle. 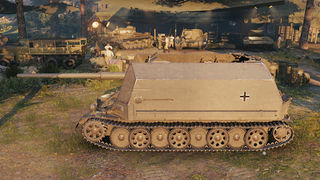 the 8.8cm K (Pz Sf) auf Sonderfahrgestell. 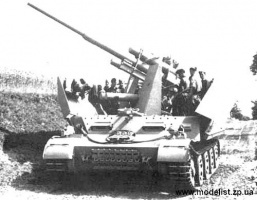 The chassis was also know as the Pz Sf IV c. A special version of the 8.8cm L/56 was planned to be mounted in an open turret carried by the Sonderfahrgestell. Later. 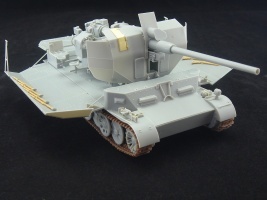 It was envisaged to mount the L/71 version of the 88cm PaK. 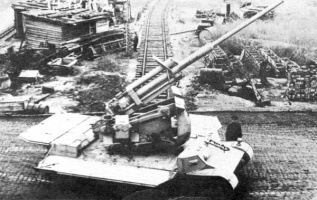 The chassis were built, but the requirement for this Panzerjager was cancelled and the chassis were used for the development of the heavy FlaK vehicle. 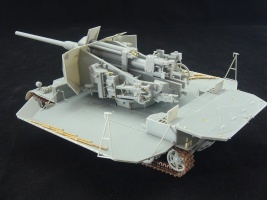 In 1944, the FlaK41 was mounted, and plans were in hans to mount the Geraet 42. 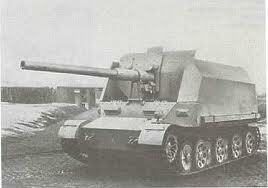 Krupp also proposed this as the chassis for the 10 5cm leFH43 Waffenträger. This page was last modified on 5 October 2018, at 11:10.